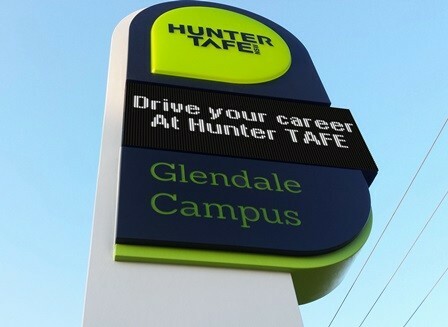 As part of Hunter TAFE’s business transformation, the institute refreshed its brand, repositioning itself as a modern and dynamic provider of vocational education and training. 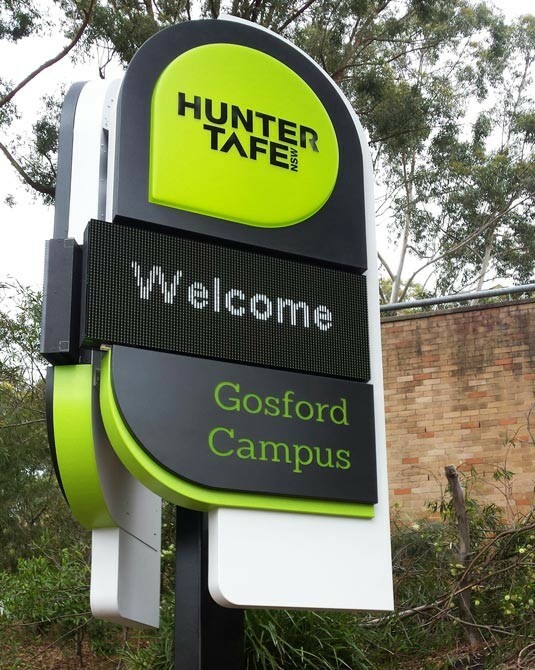 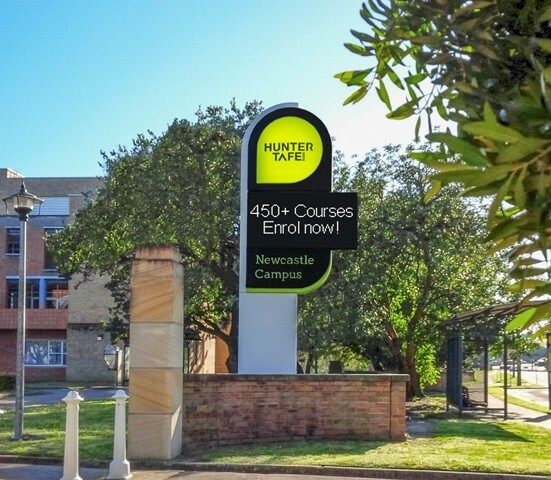 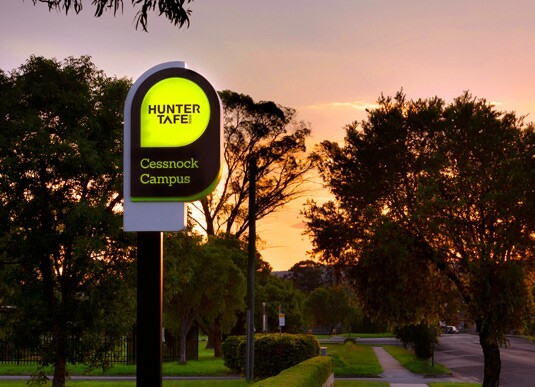 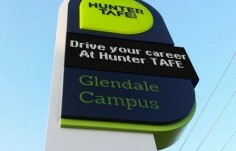 Hunter Institute of TAFE engaged Danthonia to replace the ageing light box-style entry signs at their 15 campuses with new signage that reflects this new brand. 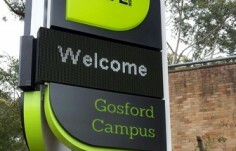 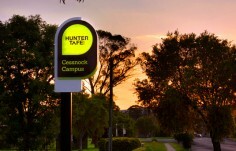 The LED signs, installed at campus entries from Gosford to Scone, target a large audience. 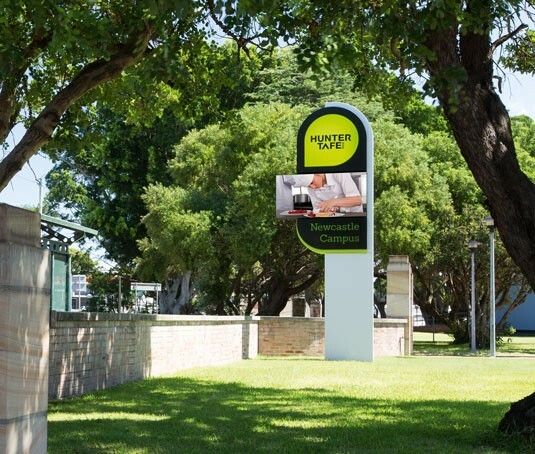 The marketing team centrally manages all their LED signs from one online account. 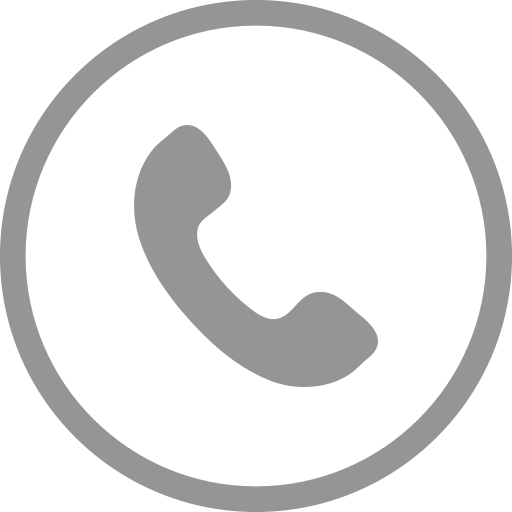 This keeps operational costs down and saves time. They schedule universal messages as well as targeted promotional content to appear on any number or combination of signs in their network. 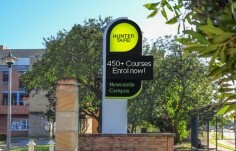 If you drive by their signs, you'll see invitations to enrol, messages that promote their great staff or a congratulatory note to their 2014 trainee of the year. 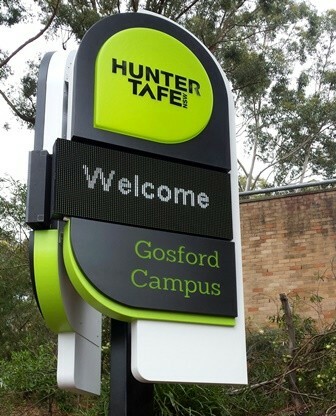 Sign types include wall-mounted and under-awning signs, a monument with a full-colour LED display, illuminated or internally-lit signs and single colour LED displays. 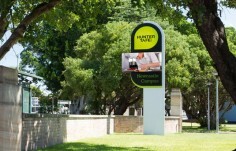 The unique V-shape style is an excellent way to target multiple streets.